Parnis, F. Apap, L. Grima, C. Mercieca (A. Mizzi), J. Pace, J. Bajada, S.P. Bajada, H. De Souza Maciel, D. Sowatey, E.A. Da Silva, E.P. Lattes. M.T. Towns, J. Buhagiar, E. Bugeja, A.J. Obaje, P. Dordevic, S. Harland, M. Bamba, A. Touarha, D.U. Monday, G. Cardona, A. Adesina. 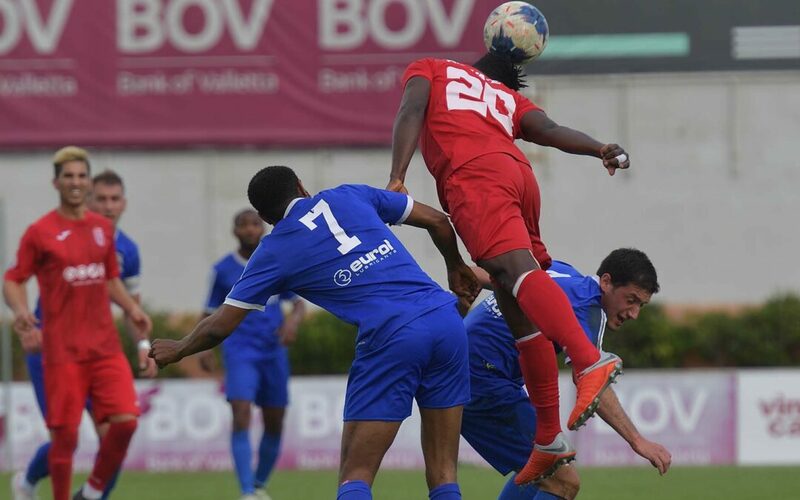 Victoria Hotspurs turned a defeat into a win in the derby match against SK Victoria Wanderers so that they now need just one point from their last two matches of the championship to be crowned champions of Gozitan football for the second consecutive season and for the thirteenth time in the club history. The Hotspurs held command of play throughout the encounter but they were often erratic in their finishing and in other occasions they were denied from scoring with a series of fine saves by the wanderer’s keeper Matthew Towns so that they failed to put their minds at rest from the three points at an early stage of the encounter. The Wanderers on the other hand seemed determined to earn a point form this match in an attempt to retain their position on the table and also to consolidate their lead over the teams involved in the relegation zone. They managed to resist for most of the time to the pressure produced by the Hotspurs but did not capitalise enough from their best scoring opportunities so that they did not achieve their objective to register a surprise result from this encounter. 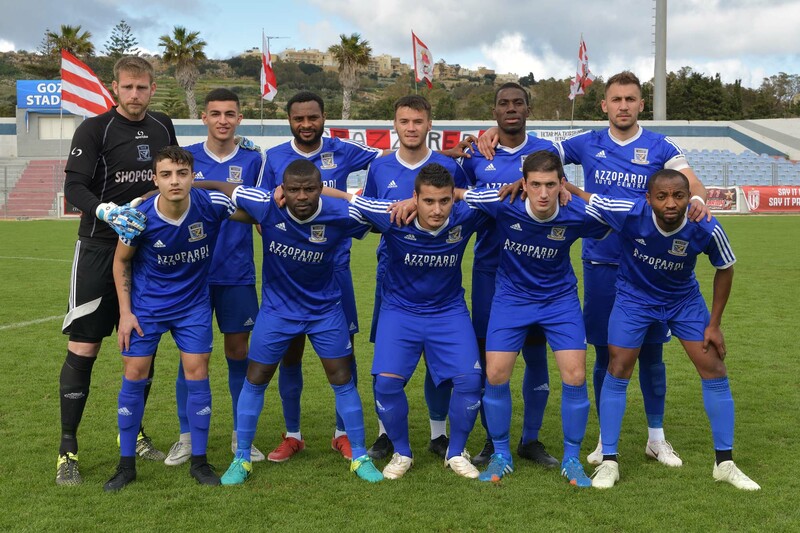 The Hotspurs took command of play from the first minutes of the match and in the second minute of play a header by Ferdinando Apap following a cross by Shaun Bajada hit the crossbar and form the rebound the shot by Christian Mercieca was cleared off the line by central defender Moussa Bamba. The Hotspurs maintained pressure on their opponents but did not find a way to create serious scoring opportunities. 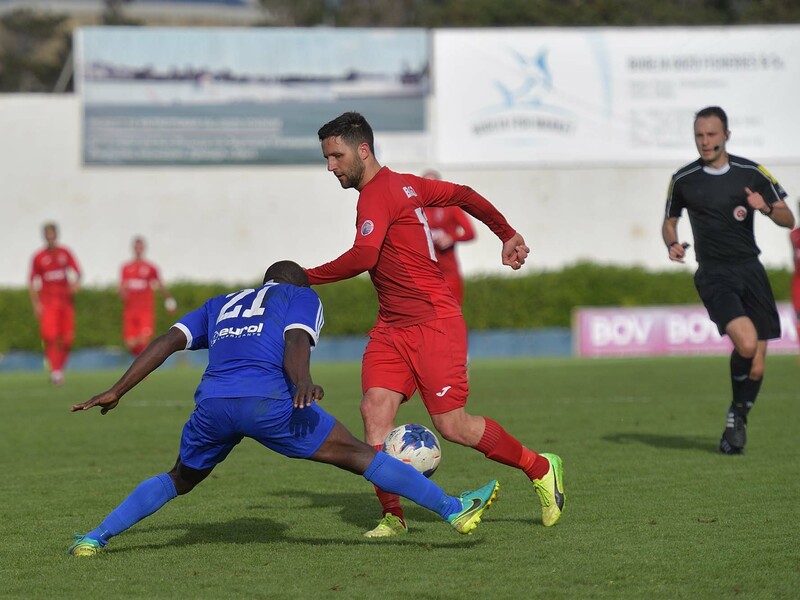 On 8 minutes the Wanderers operated a counter break through Audgustine James Obaje but the striker was denied from concluding his action with an excellent intervention by Lawrence Grima. On 15 minutes the Hotspurs had a shot by Emiliano Lattes that was deflected to a corner and two minutes later a shot by Elton Da Silva following a personal action ended away from the goal defended by the Wanderers. 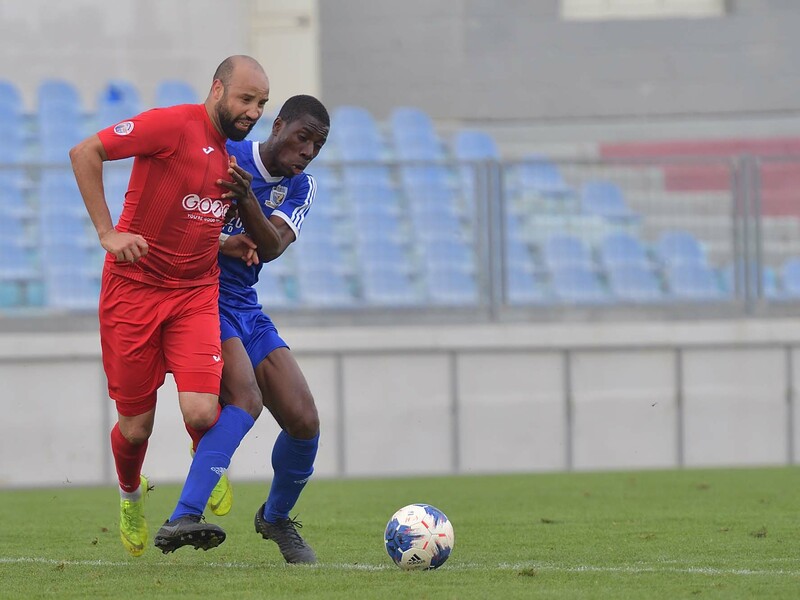 On 21 minutes the Wanderers surprised their opponents when a long ranged cross by Predrag Dordevic was not cleared by the defence and Joseph Buhagiar passed to Audgustine James Obaje who concluded in goal despite the effort by goalie Adrian Parnis to block the danger. 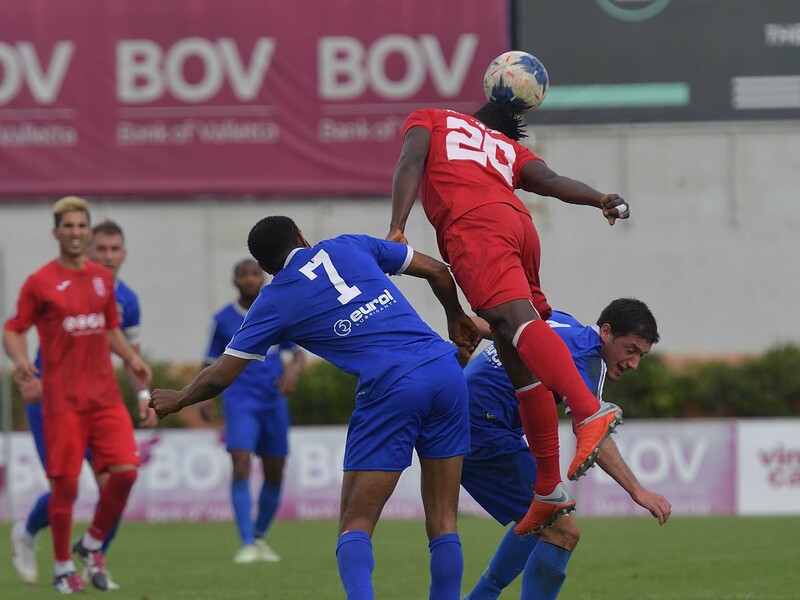 The Hotspurs had an immediate reaction and levelled the score on 26 minutes when Elton Da Silva entered the Wanderers’ territory but had his shot that was partially saved by goalie Matthew Towns. The same Da Silva took the ball from an angled position and from his cross Shaun Bajada concluded in goal with a first timer. On 31 minutes the Hotspurs went again close to scoring but goalie Matthew Towns saved in two attempts a shot by Christian Mercieca form close distance. The same Mercieca had a lob on 34 minutes that was neutralised by goalie Matthew Towns and on 38 minutes goalie Matthew Towns was well placed to save a good shot by Shaun Bajada. 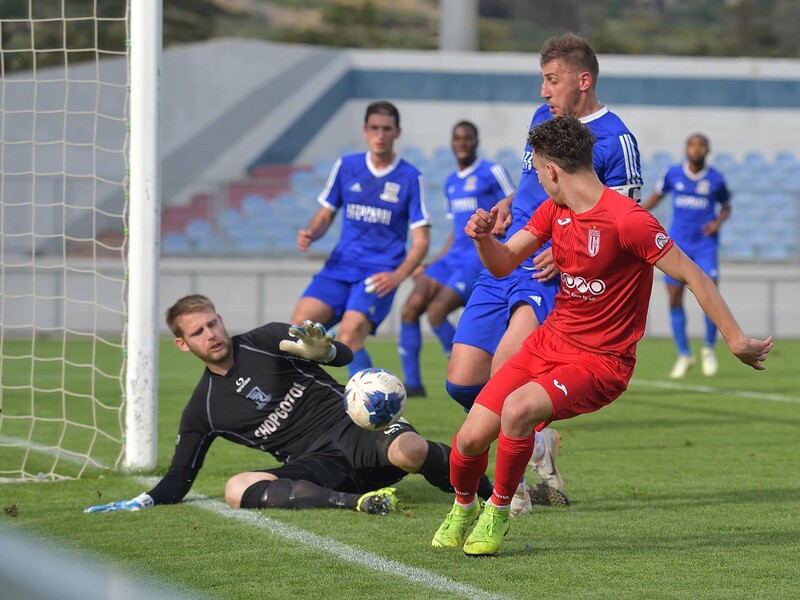 The Wanderers continued to suffer the pressure and their goalkeeper Matthew Towns continued to be a protagonist of the encounter with a series of difficult saves. 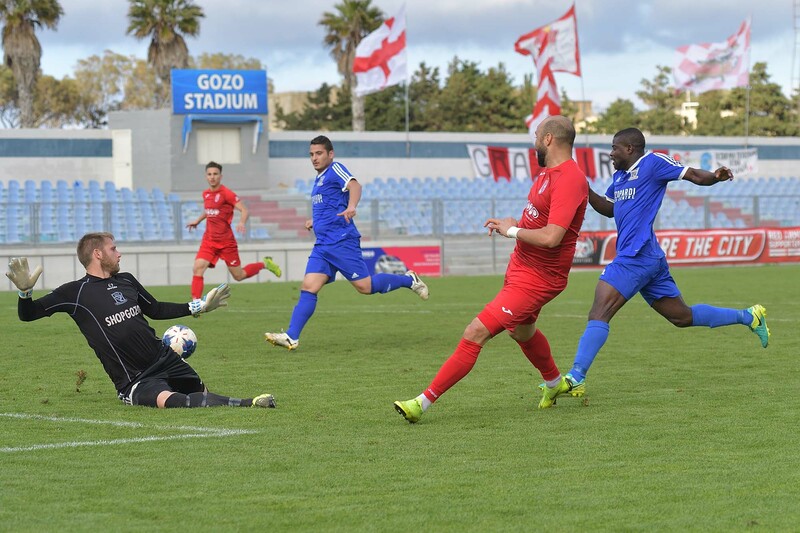 On 39 minutes a shot by Elton Da Silva following a personal action was blocked by goalie Towns and one minute later the same goalkeeper partially saved an attempt by Shaun Bajada and from the rebound Christian Mercieca lifted over the crossbar form close distance. The Hotspurs were again dangerous through a shot by Emiliano Lattes that was neutralised by goalie Matthew Towns and the same goalkeeper was called to make a difficult intervention on 44 minutes to deny Christian Mecieca from scoring after receiving from Emiliano Lattes. 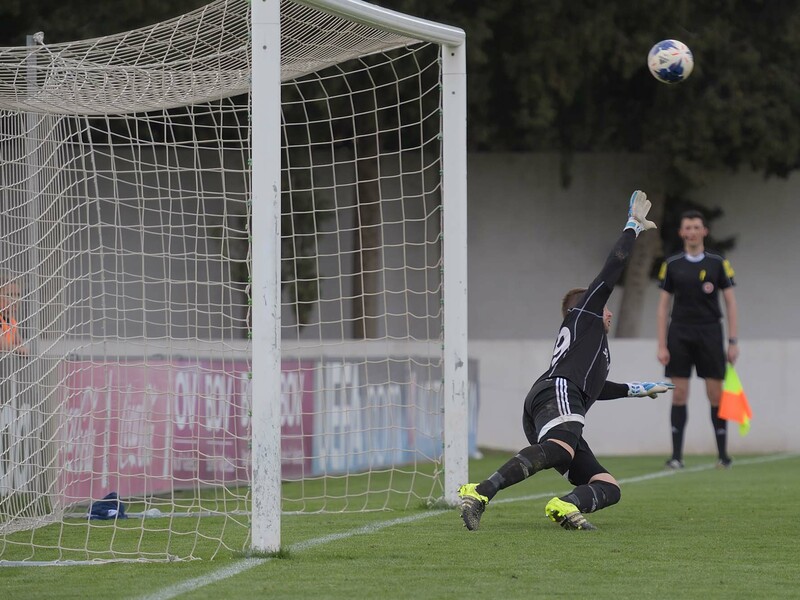 In the following action the Wanderers could have concluded better but Sam Harland hesitated so that his shot was easily saved by goalie Adrian Parnis. In the first minute of stoppage time before half time a shot by Emiliano Lattes was saved by goalie Matthew Towns and in the following action a shot from long distance by Jason Pace following a short clearance by the Wanderers’ defence ended just wide so that the first half ended in a one-one draw. 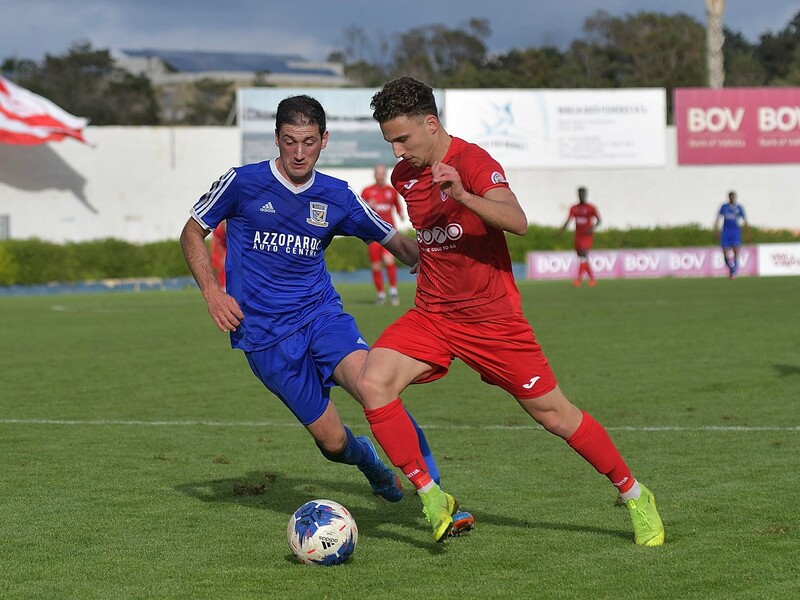 After the resumption the Hotspurs continued to dominate play and turned the result in their favour on 47 minutes when Christian Mercieca passed to Emiliano Lattes at the edge of the area and surprised the goalkeeper with a fine strike. On 50 minutes the Hotspurs could have added another goal but a shot by Elton Da Silva following a personal action was saved by goalie Matthew Towns and two minutes later Ferdinando Apap headed inside the area from a corner kick by Emiliano Lattes but Henrique Maciel incredibly concluded high from close distance. 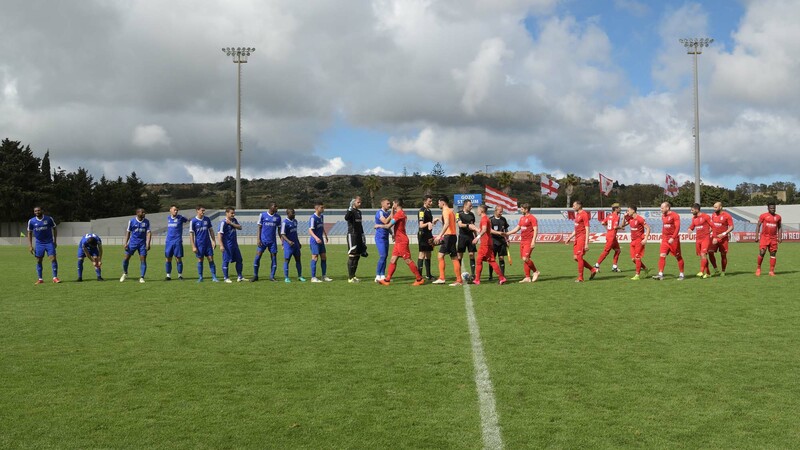 On 58 minutes the Hotspurs had another attempt through a header by Elton Da Silva following a cross by Christian Mercieca that ended wide and on the hour mark, Ferdinando Apap prolonged a free kick by Shaun Bajada but the attempt by Christian Mercieca was blocked by goalie Matthew Towns. The Wanderers replied on 63 minutes through a shot by Audgustine James Obaje after receiving from Gabriel Cardona that missed the target and on 65 minutes the Wanderers could have levelled the score but a free kick by Eman Bugeja was stopped by the cross bar with the goalkeeper beaten. 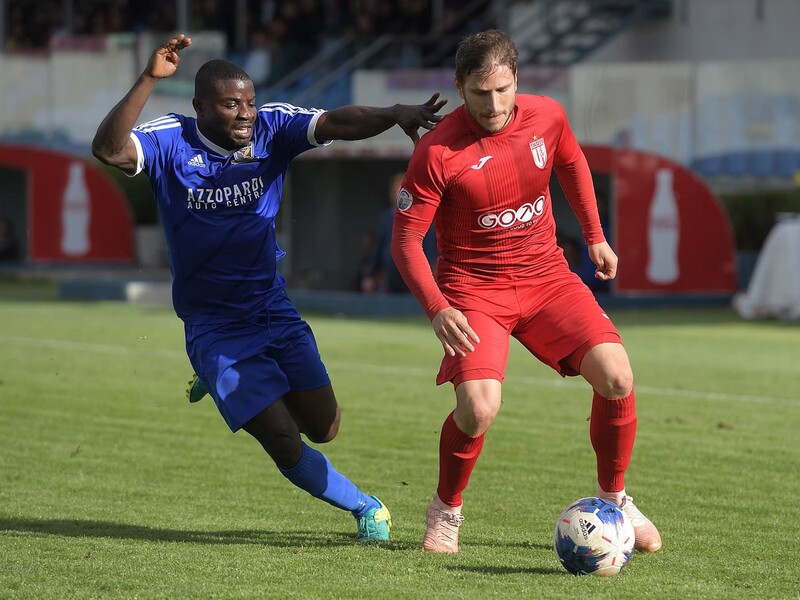 On 69 minutes the Wanderers once again threatened the Hotspurs defence when a header by Audgustine James Obaje from a corner kick by Aaron Touarha passed in front of goal, Predrag Dordevic failed to connect and the ball ended wide. The Hotspurs however regained command of play and on 70 minutes a header by Ferdinando Apap from a corner kick by Emiliano Lattes ended wide. On 74 minutes the Wanderers had a free kick from long distance by Predrag Dordevic that was well saved by goalie Adrian Parnis and on 78 minutes the Hotspurs were dangerous when Elton Da Silva entered the area after receiving from Henrique Maciel but his effort was well blocked by goalie Matthew Towns. The Hotspurs could have scored the third goal on 90 minutes when the referee awarded a penalty for a foul by Moussa Bamba on Elton Da Silva but the latter had his shot from the spot kick that was stopped by the crossbar and from the rebound Jonathan Bajada failed to take advantage so that the defence recovered and blocked the danger and the score remained unchanged until the final whistle. After the end of the match the Wanderers had Sam Harlan who was shown a red card for remarks towards the match officials.